If you’re missing Mandy Moore’s wedding day look like candy, the solution has finally arrived from one bridal company. 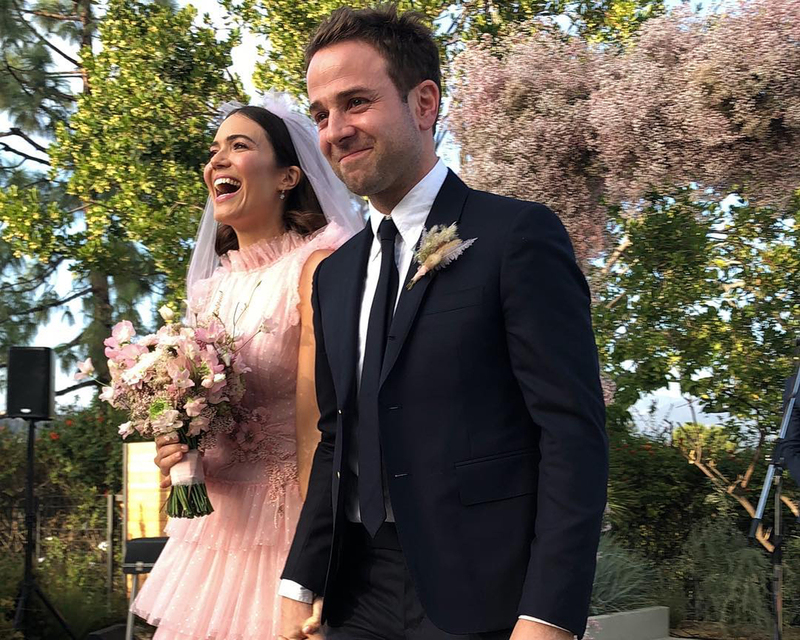 The multi-hyphenate chose a soft bubblegum pink gown comprised of tulle and multiple tiers crafted by Rodarte for her wedding to Dawes singer Taylor Goldsmith last November. Due to interest in the piece, dress brand Azazie has created a gown very close in style to Moore’s dress—for a fraction of the price. 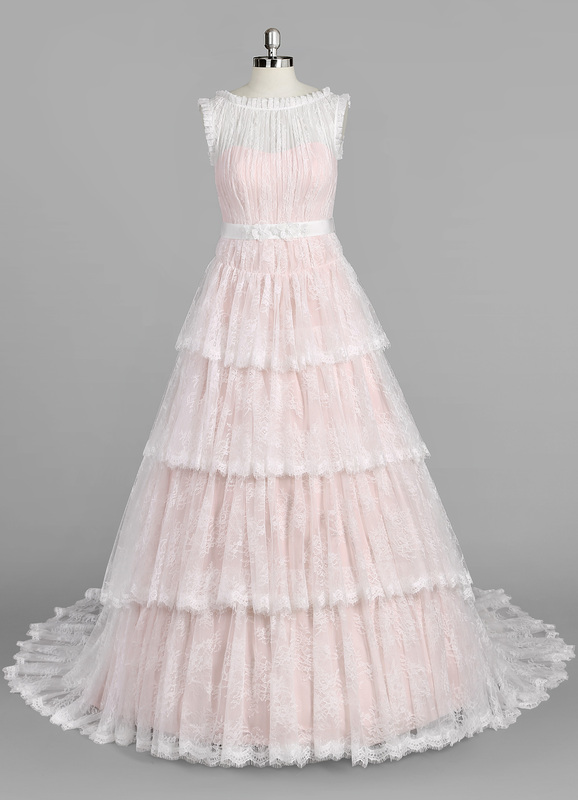 The new piece is called the “Morgan” and it’s comprised of rose quartz lace, tulle detailing, tiers and a cathedral-length train. The best part is that the design is available in a range of sizes, from 0 to 30, and all for under $1,000. Moore’s dress was custom designed by Rodarte’s Mulleavy sisters and it was styled by Cristina Ehrlich. The gown included ruffled tiers, Swiss dots and a ruffled neckline amongst other gorgeous detailing. The This Is Us actress married Goldsmith in a backyard ceremony at her L.A. home. The space itself included recurring themes of pink, including a baby’s breath arch, lush wheat sheaves dotting the aisle, and whimsical florals to top off the entire space. The reception took place in Highland Park, where performances abounded from the musical couple. Be the first to comment on "Replicas of Mandy Moore’s Wedding Dress Are Now Available for Under $1,000"